eliz, you told me something about you are working on wifi input stuff? Anything new about it? 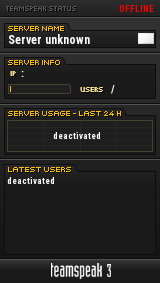 Im pretty pissed off with that ip address error what comes when im trying to join in some servers. or is it even possible to get assist working fine with wifi? is it even possible to get assist working fine with wifi? It is. For me it just depends on the day. Sometimes I an have a ping of 4-5 while other days it keeps jumping from 10 to 50 and back, which is something horrible. But I guess you're not talking about the lagg issue here, right? But what i mean is that ip address error (again). Sometime's it works just fine to join servers, but then again, sometimes it's just error, error, error when im trying to join servers. i have tried to restart my computer, wifi, assist, logged out and logged in like 100 times, and still, error to join coz my ip address is not the same blablabla. It's not a global WiFi issue. Most work just fine (I know mine did, Ganjas does). WiFi should work the same as ethernet. The issue might be in your router itself or something with the network settings on your computer. That might be the issue, it's a 4G router, not a standard home Internet connection. It is likely out of our control. Who knows what the cell company does with IP address requests and whatnot. I could be totally wrong too. I've never used 4G and have almost no experience with 3G either. I'm just throwing theories out there. Long story short: You use a service from a company which gives you a different ip than your actual ip, might have to pay for it though.